Throughout the years, we have continually been asked by our clients to provide staffing support to all areas of their business, to become a “one-stop-shop”. In order to do this, we have continued to expand our recruiting team by creating divisions to support administrative departments such as accounting and management. Today, we routinely recruit personnel in support of accounting, human resources, and other administrative divisions throughout our client base. 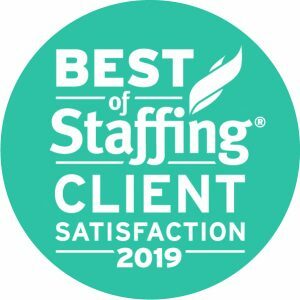 Visium Resources was awarded the coveted Best of Staffing Award for 2019 Client Satisfaction. See what we can do for you, request staff today! Visium Resources is truly your one, stop shop for all your recruiting talent needs. We make sure that you can spend more time on doing the things that are important to your day-to-day business while we focus on finding you the best staff for all your requirements. With Visium, you are never just another number on a requirements sheet. We take the time to listen to each of our clients carefully, and do the leg work to make sure we know exactly what you need. Ready to find the best Administrative support staff? Contact one of our amazing business development agents today and discuss how Visium Resources can help you.